It’s Christmas Eve! Hurrah! Today I am sharing our Christmas card with all of you. And with that, I’m off to spend time with our family and friends. I wish you all a wonderful, peaceful, relaxing and very merry Christmas. I’ll see you all back here on Monday. Love your card (and the socks)! Merry Christmas to you and Dale. You make my day brighter here at the blog. Toasty toes! Merry Christmas Carole!! Great socks, wonderful card! Wishing you, Dale, and you whole family a very Merry Christmas! Merry Christmas, Carole and Dale! Were those hand knit socks? Merry Christmas, dear Carole to you and your family. Your Christmas card is perfect—I wish you guys all the best in 2016. 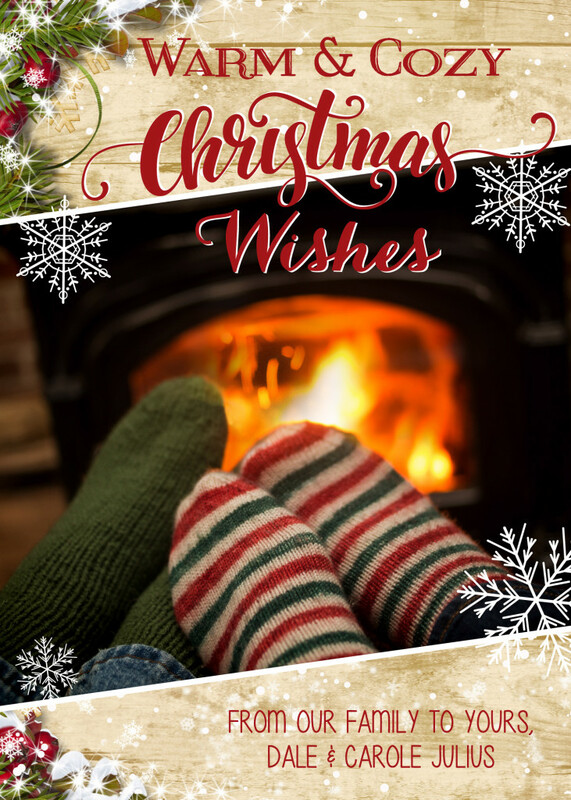 Catching up on my blog reading– happy cozy toes to you both too!